This is the last post I write about “Revue Stratégique Cyberdéfense de France”. I wrote about “Les dangers du monde cyber” in the first part, and about “L’État, responsable de la cyberdéfense de la nation” in the second part. Today, I’m going to write about “L’État, garant de la cybersécurité de la société” where I’m going to explain risks into the European Union but I’m also going to speak about Cloud, Intelligence Artificial, cyberweapons, economy and recruitment. There are many interesting things in the third part and I would like to highlight some of them. The first interesting thing I would like to highlight is the risk of the EU with regard to technology because most IT companies are managed from the U.S. This, although it could seem a little bit silly, it’s important because countries, businesses and citizens shouldn’t depend on IT foreign companies. At least, countries shouldn’t depend on IT foreign companies. Why? Because if we start a trade war, like the war China and U.S. have currently, it will be devastating for the EU countries. What would happen if we stopped receiving U.S. services? What would happen if we start a war with the U.S.? We couldn’t! We would always lose! 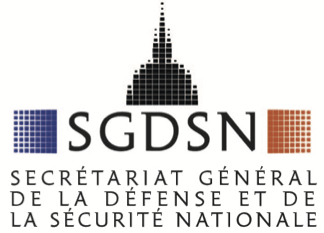 Cloud and Intelligence Artificial (IA) are also subjects of the Cyberdefense Strategy of France. These two new emerging technologies are taken into account in the Strategy because, one of them, the IA, should be useful for improving cybersecurity while, the second one, the Cloud, should be regulated for better protection of critical activities. For instance, we can read in the Strategy how Elon Musk highlighted the importance of cybersecurity for autonomous electric cars in a conference, or how the OVH company is a French Cloud Provider who hosts Microsoft services. This kind of references are interesting! It’s “easy” to detect who sells weapons such as tanks, warships or guns to countries which are in the blacklist of the United Nations but it’s very difficult to know who sells cyberweapons to these countries. This kind of trade should be regulated. In fact, we can read in the Strategy about the Italian Hacking Team company or the German-English Gamma company who were hacked, and their zero-days and customer list were published. Some customers of Hacking Team and Gamma are in the blacklist of the United Nations!! I like this Strategy. They have realised they must support French companies, and EU companies as well, for getting better protection. The government of French has realised that most companies, which work on the technology field, are small with less than 20 people and less than 1 M€ billing. In addition, they know that lots of IT engineers emigrate abroad to look for better job opportunities. Therefore, they want more companies like Gemalto, Thales or Oberthur. This is a great Cybersecurity Strategy. I would like to read a Strategy like this written by the government of Spain. I think, we have the same risks of the French government but it’s required to take actions.